Wi fi is now available on all Dover – Calais ships operated by P&O Ferries. It’s free throughout the crossing to passengers with Club Lounge access and for 30 minutes with standard and full “flexi” fares. It isn’t included with saver deals but travellers can buy 90 minutes’ access for £3. 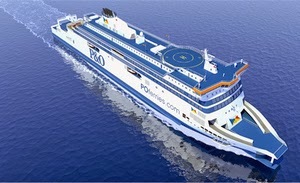 P&O Ferries operates 11 ships and carries more than 9m passengers a year on the route. Meanwhile Premier Inns now provider unlimited free wi fi. Previously guests were offered complimentary access for up to 30 minutes.